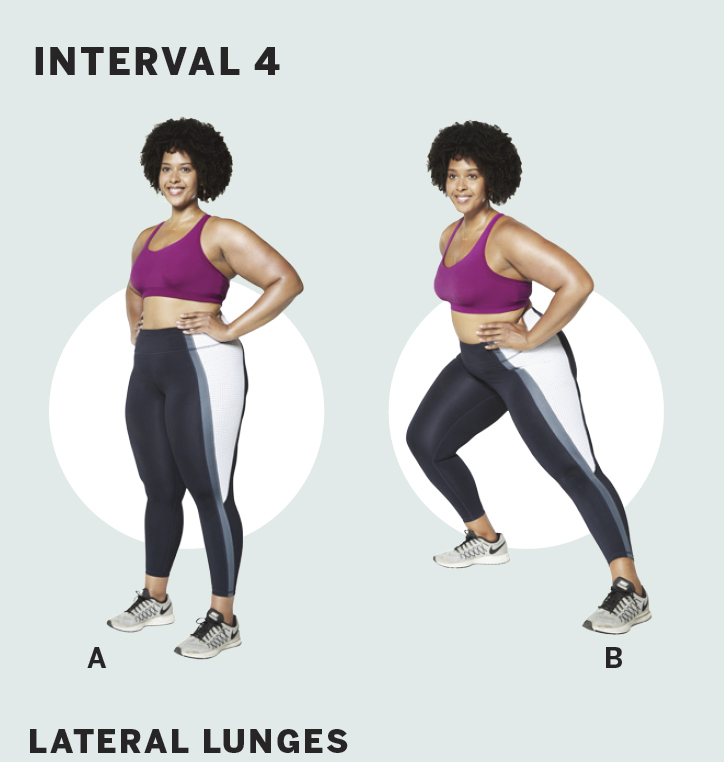 Jump-start your 2019 #FitnessGoals with this intense but effective toning circuit. 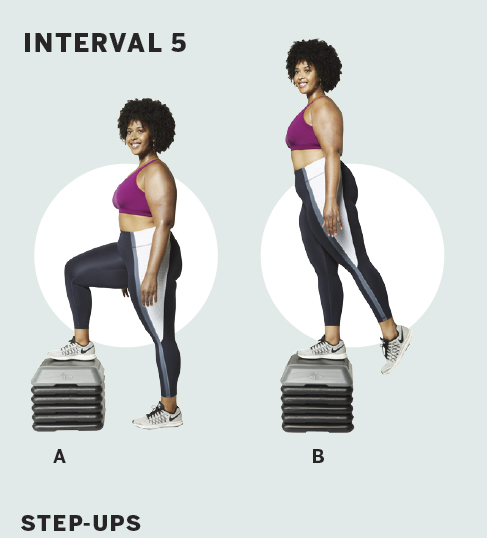 This circuit was created by Faheem Mujahid, a certified trainer, performance specialist, and owner of HumanWorks private training studio in Miami. “The New Year is the perfect time to reconnect with your body and rebuild your foundation,” explains Mujahid. “This workout allows you to do exactly that, while maximizing your output in a short amount of time.” Warning: It’s not easy! But the results, which include a stronger, leaner, and all-around more fit you, are totally worth it. Squats: Stand with feet shoulder-width apart, shoulders back, and abs tight (A). Lower down, bringing hips to just below parallel, ideally (B). Push into heels to rise to standing, and repeat. Squat jumps: With feet shoulder-width apart, let arms hang at sides. Push hips back and down (A). Once knees reach about 90 degrees, jump straight up, swinging arms up (B). 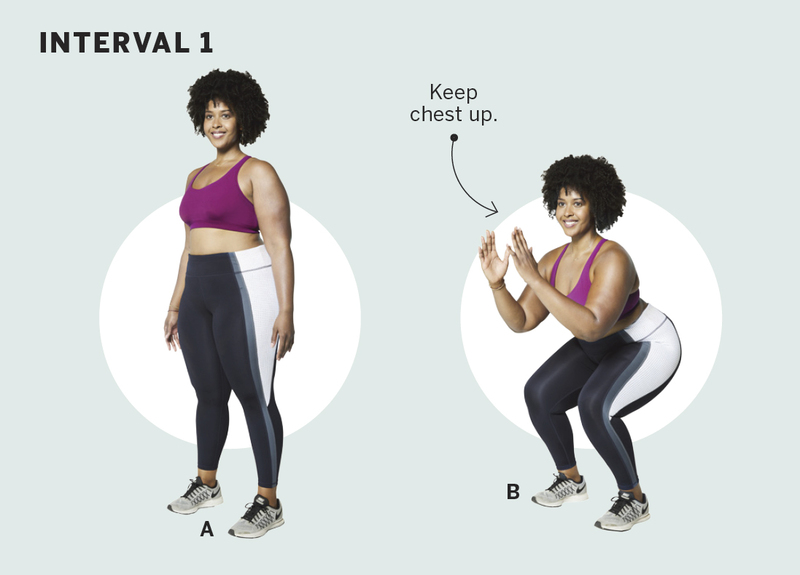 On landing, immediately lower back down into a squat; continue repeating. Lunges: Start with feet together and arms at sides. Step right foot a couple of feet in front of left (A). 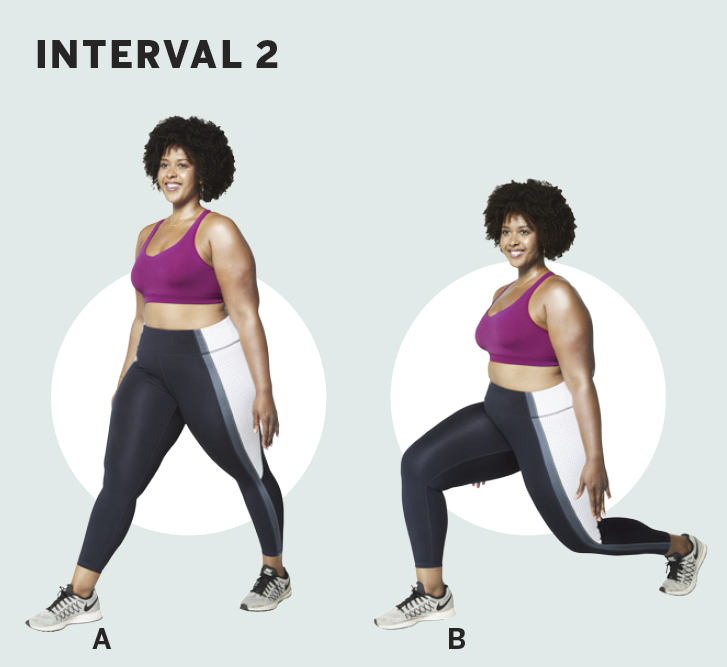 Slowly lower body until knees are bent to 90 degrees (B). Pause; push back up to “A.” Repeat move for 15 seconds; then switch sides. Scissor jumps: Lunge with right leg forward; bend left arm, and extend right arm down (A). Jump straight up, swiftly switching legs midair like a pair of scissors. On landing, lower down into a lunge with left leg forward (B). Continue alternating legs. Push-ups: Get into a plank with hands slightly wider than shoulders and abs tight (A). Lower chest down, keeping elbows tucked into sides (B). Press back up to “A,” and repeat. Burpees: Stand with feet together and arms at sides. Bend knees, lower hips, and place hands on ground (A). 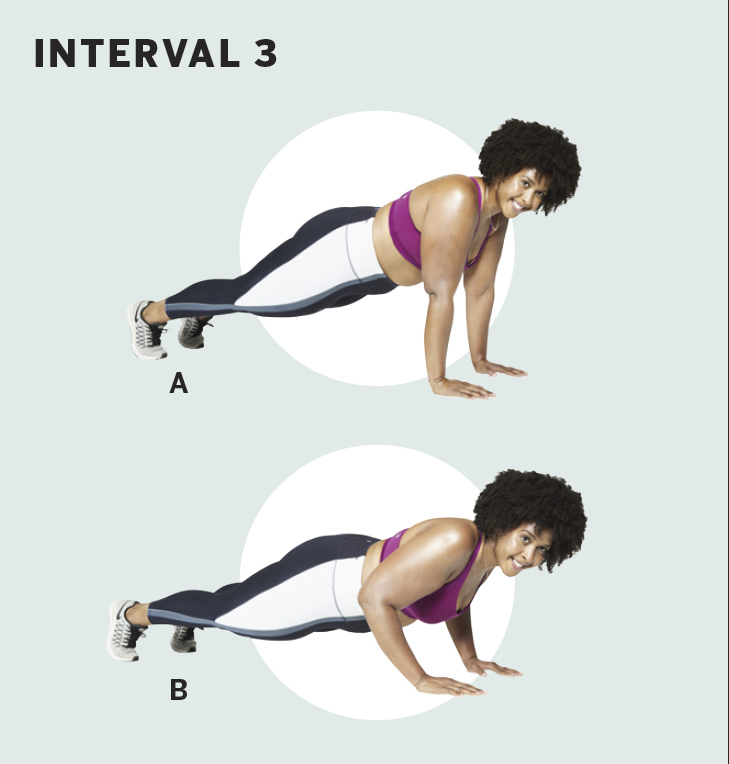 Jump feet back into a plank (B). 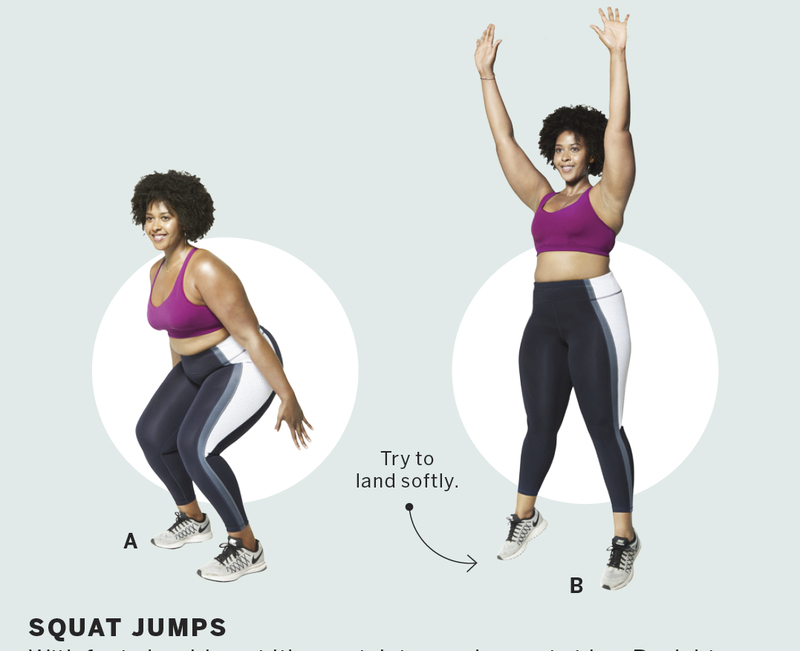 Lower chest to floor (C), and then push back up to “B.” Jump feet back in, to return to “A,” and then jump straight up with arms overhead (D). Land softly, and repeat. Lateral lunges: Stand tall with feet hip-width apart (A). Take a giant step out to the right as you push hips back. Bend right knee, and lower body down while keeping left leg straight (B). Push into right foot to return to standing, and then repeat on opposite side. Continue alternating. Skaters: With feet shoulder-width apart and knees slightly bent, hinge forward as you raise left foot. Push off right foot, and explode toward the left, landing on left foot with knees slightly bent (A). Repeat movement on opposite side (B). Continue alternating. Step-ups: Place right foot on step or box with arms at sides (A). Press right foot into step, pushing body up until right leg is straight (B). Return to “A”; repeat for 15 seconds. Switch sides. 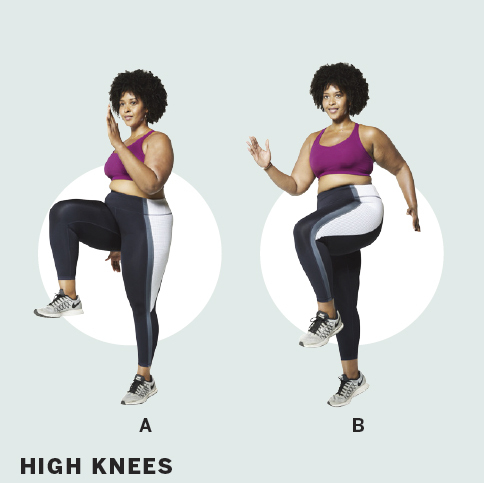 High knees: Stand tall with feet hip-width apart. Quickly drive right knee up as you bend left arm (A). Lower right knee and left arm, and then immediately drive left knee and right arm up (B). Continue alternating back and forth, using a hopping motion.